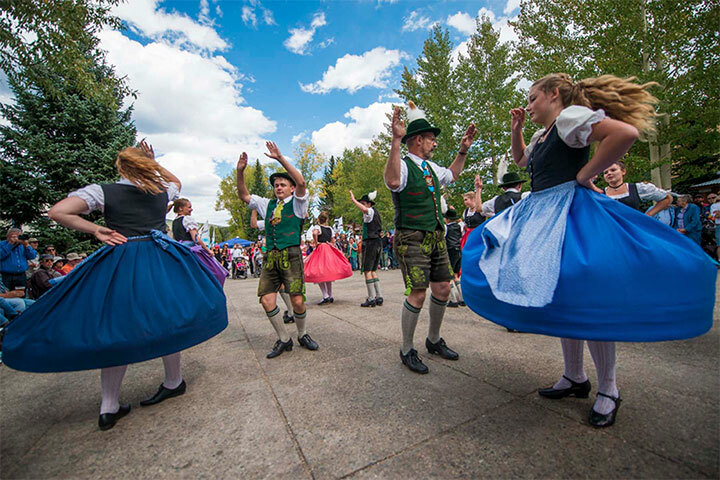 Going strong for more than twenty years, Breck’s Oktoberfest brings a weekend of street parties, German cuisine and plenty of Paulaner beer. It’s one of the largest Oktoberfests in the Rocky Mountain region and offers collectible steins imported from Germany. The weekend mixes traditional (Munich’s Paulaner, one of the six breweries who provide beer for the German festival) with local flavor (from Breck Brewery). 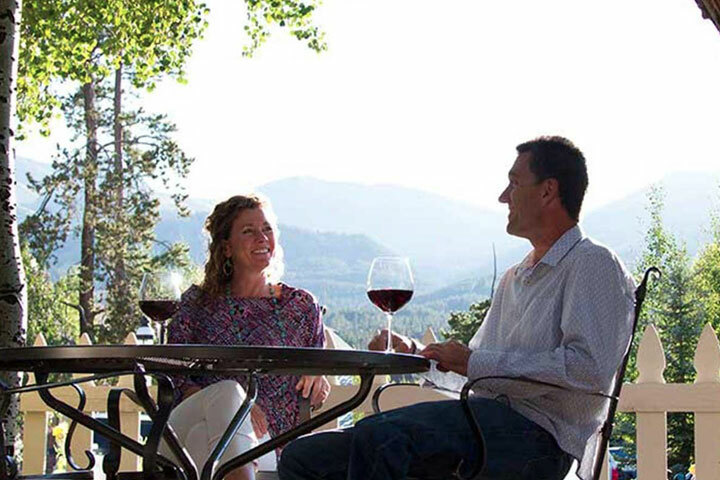 Breckenridge Wine Classic is your chance to grow your knowledge and enjoy top quality food and wines from vineyards around the world. Master sommeliers, chefs and winemakers invite the public to play, wine and dine during the height of Breckenridge’s fall colors. The event combines a grand tasting in the historic Arts District, seminars and demos with town’s outdoor adventures to create a weekend of fine food and foliage. 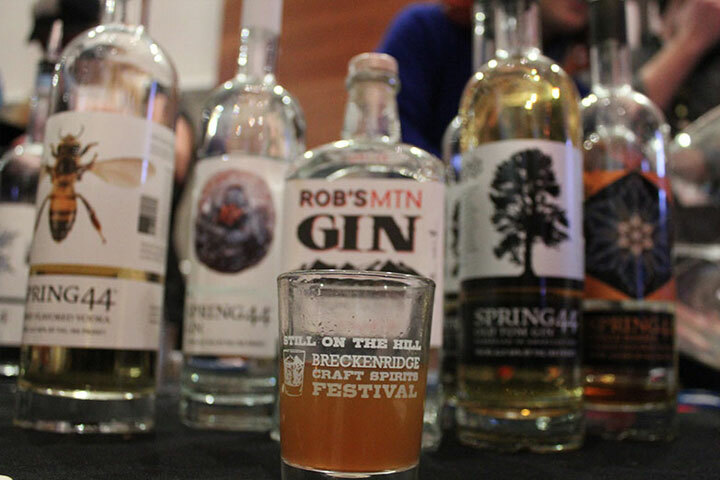 Breckenridge Craft Spirits Festival features small-batch distillers, artisan spirit seminars, a spirited cooking class, scavenger hunt, fine local cuisine and of course, plenty of sampling. Meet the distillers and taste the creations of 38 distillers at the Grand Tasting. The first weekend in December, the town transforms into a sparkling holiday scene. 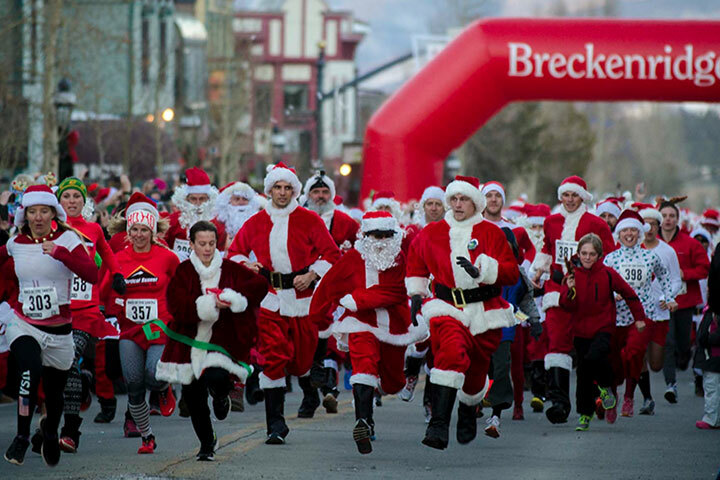 Participate in the Race of the Santas, where 100’s of Santas race down Main Street to benefit Adopt an Angel and continue the festivities with the Lighting of Breckenridge, where Santa greets holiday revelers from his horse-drawn carriage. Winter Dew Tour ski and snowboard competition and festival will return to Breckenridge, Colo. December 14-17, 2017. The event will serve as a U.S. Ski & Snowboard Olympic qualifying event for men’s and women’s halfpipe and slopestyle snowboarding and skiing competitions. 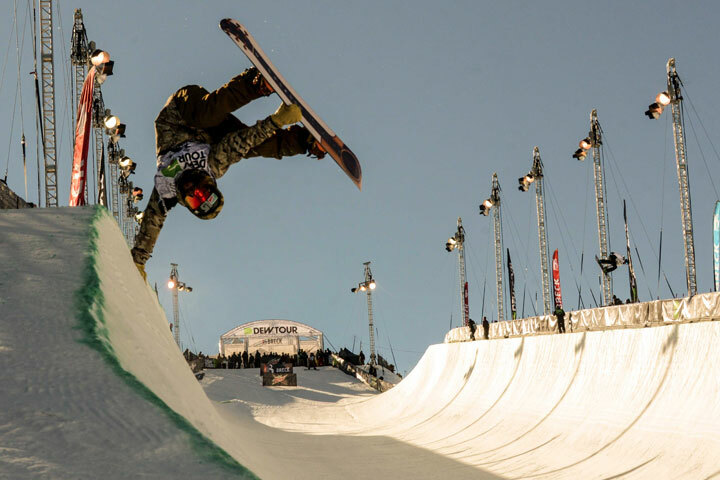 The Dew Tour will also host Team Challenge and Streetstyle competitions and a calendar of fan-based activities, as part of TEN and Mountain Dew’s commitment to further style and creativity in action sports. 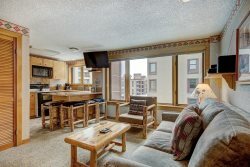 The Town of Breckenridge invites snow lovers of all ages to join the party. During Ullr Fest in Breckenridge, don’t be surprised to see horned Viking hats adorning the heads of skiers and snowboarders, the biggest bonfire in town, and more than 12,000 Ullr enthusiasts filling the streets for the Ullr Parade with crazy float participants skiing off jumps on Main Street or gliding along town in a hot tub. 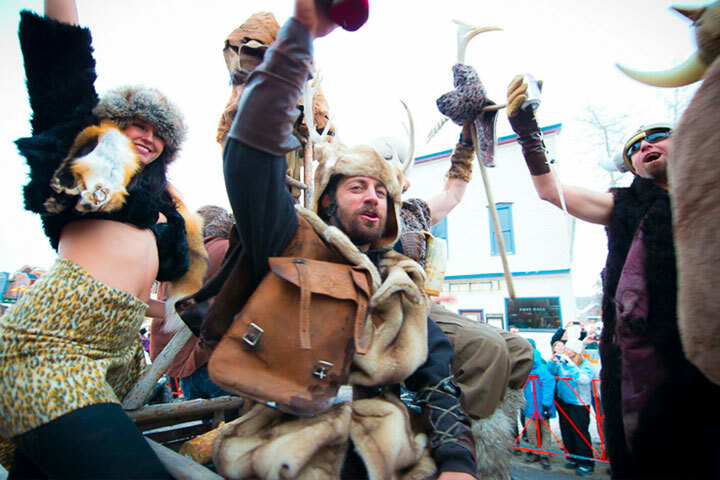 Join us to rejoice with Ullr himself... he's ready for a good party. Discover the process of snow sculpting, information about the teams and lots of interesting trivia. Located in the Thaw Lounge+Music, this exhibit explores the last 25 years of the International Snow Sculpture Championships. 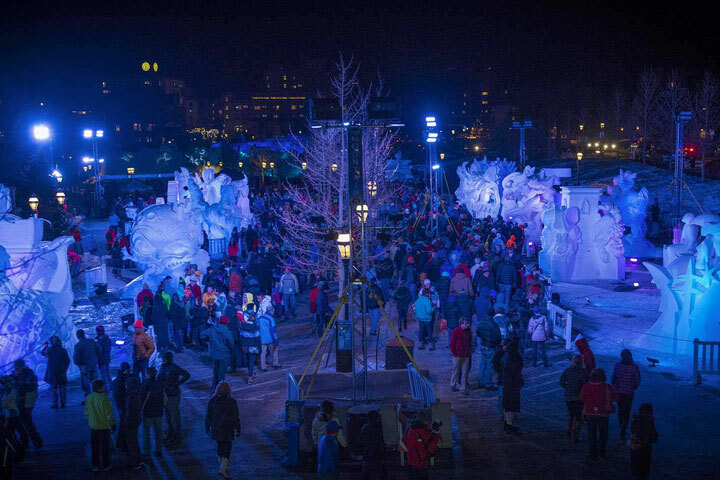 The Snow Sculptures are located in the area around the Riverwalk Center at 150 West Adams Avenue, Breckenridge, CO 80424. Each year, New Orleans visitors and Mardi Gras lovers take over Breckenridge with masks, boas, beads, music and revelry to commemorate the carnival season. Join us on Main Street for a New Orleans-Style Mardi Gras party! 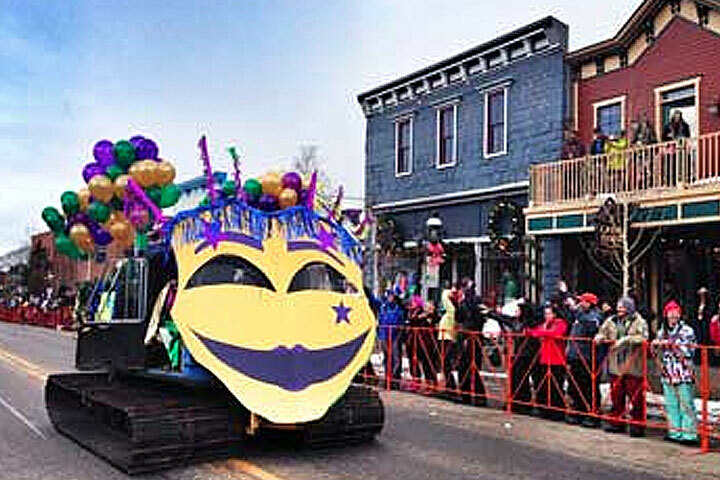 Celebrate Fat Tuesday with the traditional Breckenridge Mardi Gras Parade Down Main Street! Gather along the fenced parade route to see the floats locals have put together and get in position to catch any incoming beads, then wear them out to your favorite bar as your night out on the town gets started.